Videos : Blue Jackets pay tribute to Rick Nash after tragic announcement earlier this week. 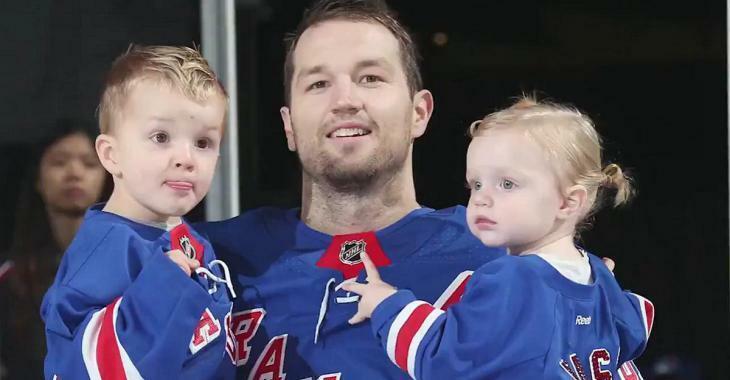 Blue Jackets pay tribute to Rick Nash after tragic announcement earlier this week. Earlier this week long time star of the National Hockey League Rick Nash tragically announced that he would be forced to retire from the sport of hockey. The news was revealed via Nash's agent, Joe Resnick of Top Shelf Sports Management, who released a public statement detailing that Nash was walking away from the National Hockey League due to the repeated blows he had suffered to his head during his career. "Due to unresolved issues/symptoms from the concussion sustained last March, Rick Nash will be forced to retire from the game of hockey," said Resnick. "Under the advice of his medical team, the risk of further brain injury is far too great if Rick returns to play. Rick would like to thank everyone who has supported him during this difficult time period." Now I suppose you could argue in theory that Nash made the conscious decision to walk away and was not forced to retire at all, but I don't really buy that argument. Nash is a family man and as a result he has not only his own long term health to consider but the well being of his wife and their beautiful children also needs to be factored in to any decision of this nature. I feel that it is very likely that Nash's family had concerns regarding his long term future if he stepped out onto the ice again and when you consider the announcement was such a long time coming I don't believe for a moment that this was a decision that the star forward made lightly. Although that announcement was obviously a sad one and likely a very difficult on for Nash and his loved ones, there is now plenty of time to celebrate Nash's wonderful career as well as the impact that he has had on the sport of hockey. Perhaps his greatest impact will come in the city of Columbus, Ohio where he blossomed into arguably the organizations first bonafide star player and certainly their most marketable. For that reason it is no surprise that the Blue Jackets also happen to be the 1stt to pay tribute to his career. Nash was a guest of the Jackets on Sunday night and in a classy gesture the team not only let him drop the ceremonial puck, but they also produced the following tribute video for him in short order as well.